Taurus in 1932, acquired the MG company that already manufactured motorcycles. 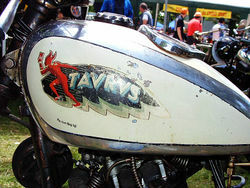 A year later, the motorcycles appeared or re-appeared on the market under the motorcycle brand name Taurus. The bikes were almost identical to the MG, including models equipped with single cylinder engines from 175 to 500 cc and valves with overhead camshaft, some with a rear suspension torsion bar. 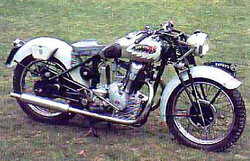 In 1938 they built a racing motorcycle with double overhead camshaft, which was not, however, produced in series. After the war, Taurus built mopeds and motorcycles, including a 175 cc with an overhead camshaft and a two-stroke 160 cc and 250 cc engine with a valve in the head.